VMBlog.com interviews Steve Morton and Bob Janssen of RES Software at Citrix Synergy 2013. Some of the major announcements that came out of today's keynote centered around 3 areas: XenDesktop, Xen Mobile and FileShare, bringing last years vision of Project Avalon to fruision. LOS ANGELES – Today at Citrix Synergy™, Citrix unveiled advancements toward its mobile workstyles vision, providing powerful new ways for people to work whenever, wherever and however they choose. Citrix enables mobile workstyles through a comprehensive portfolio of cloud solutions that accelerate building, deploying and managing cloud services and IT infrastructure. More than just computing and storage power, Citrix cloud solutions serve as the engine of mobile workstyles, delivering any type of app, to any type of device, over any type of network, while supporting new forms of social collaboration to connect people. At this week’s Citrix Synergy Los Angeles, attendees will learn about how these new offerings and the entire Citrix cloud solutions portfolio can mobilize every aspect of work and bring the reality of mobile workstyles to any business. LOS ANGELES – Today at Citrix Synergy™, Citrix announced the next major release of the market-leading Citrix XenDesktop® desktop virtualization solution. XenDesktop 7 is the first release of Project Avalon, a multi-phased initiative to deliver Windows as a cloud service. XenDesktop 7 offers integrated Windows app and desktop mobility, easier deployment options and simplified management, all delivered through a new, cloud-style architecture. Current XenDesktop and Citrix XenApp® customers will find the new architecture easier than ever to deploy, manage and support. XenDesktop 7 represents the state-of-the-art in app and desktop virtualization, enabling any business to mobilize Windows apps and desktops and deliver them as a cloud service to any device. LOS ANGELES – Today at Citrix Synergy™, Citrix announced XenMobile™ Enterprise, the revolutionary new way to mobilize your business. Citrix XenMobile Enterprise edition combines mobile device, app and data management, a unified corporate app store, mobile productivity apps and “one-touch” live support into an inclusive solution for delivering mobile services to business. XenMobile Enterprise includes secure mobile productivity apps such as email and web browsing, as well as secure document sharing, syncing and editing. The beautifully designed integration of these mobile services differentiates Citrix from other companies in the enterprise mobility market. LOS ANGELES – Today at Citrix Synergy™, Citrix announced new Citrix ShareFile® StorageZone Connectors for Microsoft SharePoint and network drives, new StorageZone options with Microsoft Windows Azure and seamless integration with Citrix XenMobile™. Mobile access to enterprise data is a critical component in enabling user productivity and organizations require an enterprise-class solution to deliver it. With today’s announcement, Citrix is uniquely positioned to mobilize user data – including data within SharePoint, network drives and public cloud storage on Microsoft Azure – while providing IT with comprehensive control to secure enterprise data everywhere. 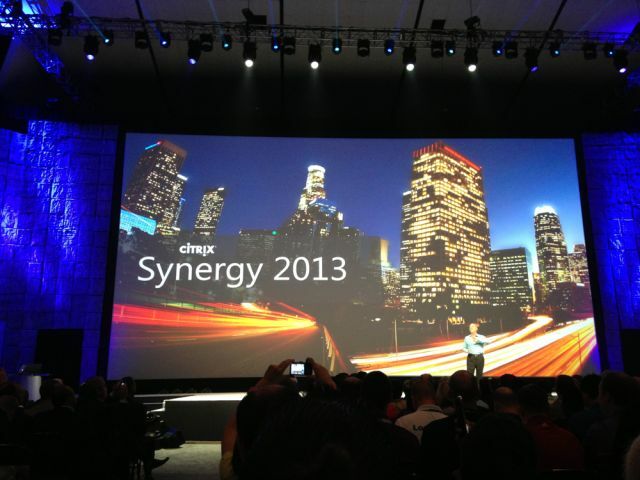 LOS ANGELES – Today at Citrix Synergy™, Citrix announced Citrix Worx Mobile Apps built for business. Citrix Worx mobile apps are enterprise-ready mobile apps with security, policy and provisioning controlled by Citrix XenMobile™. Worx mobile apps, offered with Citrix XenMobile, include WorxMail for secure e-mail, calendar and contacts, WorxWeb for secure web browsing and Citrix ShareFile® for secure document sharing, sync and editing. Citrix also announced a new Worx App SDK for developers and a new Worx App Gallery for IT. More than 80 Worx-enabled third party apps will be showcased in the Worx App Gallery. In addition, Adobe, Antenna, Appcelerator, Box, Catch, Concur, Expensify, HP, Good Reader and Xora have signaled their intent to work with Citrix. Citrix Synergy will be coming to the Anaheim Convention Center from May 22-24 and VMBlog will be there bringing you live coverage. Synergy is the premier industry conference for IT professionals at all levels who are focused on both sides of the mobile workstyle equation: providing a consumer-like experience and flexibility to users while securing corporate resources.